April 11, 2018 - Nearly 200 local business and community leaders gathered to learn about how hands-on learning opportunities and internships can provide youth with access to a pathway in STEM careers, while also helping to ensure a skilled workforce. Many thanks to Dr. Melodie Knowlton for delivering an inspirational keynote address. Dr. Knowlton is the Head of the Thomas M. Menino Vertex Learning Lab, a 3,000 sq. ft. classroom and laboratory space at Vertex’s corporate headquarters in Boston. May 29, 2018 - Nearly 150 parents and students attended WPY's community viewing of Screenagers followed by a panel discussion. Liz Homan, Administrator of Education Technology Integration for Waltham Public Schools, eloquently captures her ruminations on the appropriate use of technology in her blog post entitled "The Role of Educators in Keeping Digital-Age Kids Safely Connected". Click here for the Screenagers Parent Guide to a well-balanced digital life. February 6th Declared Tobacco Free Tuesday in Waltham! On January 22, 2018 the Waltham City Council unanimously approved a resolution declaring February 6th Tobacco Free Tuesday! The resolution was inspired by the work of the WYACC Traiblazers, our youth leadership group. Trailblazers have been working hard to educate their peers and others in the community on the harms of tobacco and nicotine, as well as the tactics used by tobacco companies to target youth. This work is especially important given the rise of vaping and e-cigarette use among Waltham teens. On February 6th, Trailblazers are asking smokers to challenge themselves to be tobacco and nicotine free for 24 hours, and for all community members to commit to wearing orange to show their support. Students will be facilitating activities at Waltham High School that day to raise awareness. Trailblazers Allissa Masse and Havo Akobirshoeva gave an outstanding presentation to the school committee on the topic (watch minutes 7:45 - 42:45) and will be presenting to City Council on Monday, February 5th at 8:00pm. We encourage you to attend and to wear orange to show your support! WPY Receives $5,000 Grant from Waltham Education and Beyond Foundation! November 2, 2017 - We had a packed house and a great time at this year's Adult Team Trivia night. And thanks to our many sponsors and participants, we exceeded our fundraising goal! Congrats the The Waltham Family School team for their big win, and to the Park Lodge Hotel Group's team, The Bald and the Beautiful, for their well deserved Team Spirit Award. October 11, 2017 - We had a great turnout for our 2017 Annual Meeting, including longtime supporters as well as new faces! If you missed this opportunity to learn about WPY's recent accomplishments and current priorities, check out our Prezi, linked here. June, 2017 - Congratulations to Lambert Avila, WPY's first recipient of the Commercial Driver's License Scholarship! With support from the city's Community Development Block Grant program, WPY was able to award the scholarship to an eligible high school senior interested in pursuing a CDL. Our hope is that this scholarship program will help fill positions within the city that are left open due to a lack of CDL-credentialed candidates. Lambert will be completing his training with NETTTS (New England Tractor Trailer Training School) and hopes to apply for a position with the city once he has earned his CDL. June 7, 2017 - The Waltham Youth and Community Coalition (WYACC) held its Showcase and Community Leadership Award Ceremony at the Waltham Boys and Girls Club. The event showcased the Coaliton’s substance abuse prevention work this year and culminated in the presentation of Community Leadership Awards to over 25 recipients. To learn more about WYACC or get involved, click here. Waltham Partnership for Youth Selected as a Commonwealth Corps Host Site! April 21, 2017 - We are thrilled to announce that we will be hosting 3 Commonwealth Corps members! The mission of the Commonwealth Corps is to engage Massachusetts residents of all ages and backgrounds in service to strengthen communities, address unmet community needs, and increase volunteerism. The Commonwealth Corps provides opportunities for skill building, leadership development and encourages and enhances a lifelong civic vocation for Corps members. Learn more about Commonwealth Corps here! Beginning in August, 3 half-time Commonwealth Corps members will serve as Teen Weekend Program Innovators with WPY. Through their service, members will work with partners such as the Waltham Boys and Girls Club and the Waltham Recreation Department to deliver weekend programming for teens. Members will recruit 150 teens to participate in safe and structured weekend activities rooted in the principles of Positive Youth Development. In addition, they will leverage 25-30 community volunteers who will assist in weekly program delivery and facilitate one-time events or workshops. Members will serve in a stipended half-time capacity from 8/15/17 to 6/30/18. Benefits include a focus on member training and development, as well as a bi-weekly stipend, a completion award, an inspiring network of fellow members, and other supports. Interested in a paid year of service? We are recruiting! Check out our position description here. April 21, 2017 - We are grateful to the Jones Partnership Fund for their generous grant of $2500 for the purchase of Interpretation Headsets, a key element in our developing LACE program. Language Access for Civic Engagement (LACE) will increase access to information and civic participation among our linguistically diverse community. By investing in interpretation technology and training local residents to become interpreters, we will create capacity within our community to ensure that public hearings, government meetings, and other important events can be interpreted in real time so that all residents are able to access important information, exchange ideas and concerns, and participate actively in our shared community. 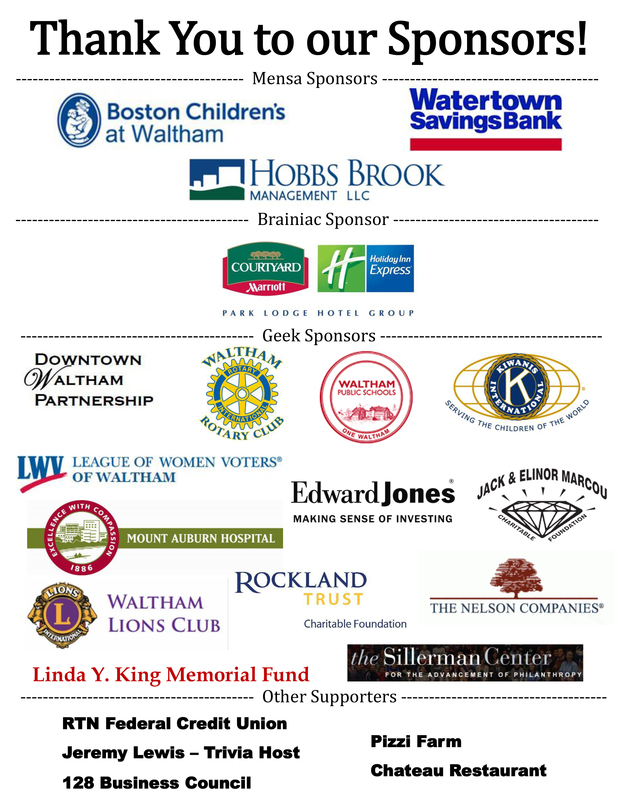 Nov. 7, 2016 - The Waltham Youth and Community Coalition, a project of the Waltham Partnership for Youth, is an entirely youth-focused coalition. Yet even within those parameters, the organization decided to form a subgroup of youth called the Waltham Trailblazers. Keep reading! On Oct. 29, 2016, the first-annual Mayoral Youth Summit was held. One hundred and eighty Waltham High School students attended the event, entitled Amplify: Using Student Voice to Make a Stronger Waltham. Sponsored by the Mayor's Office, in partnership with WPY and the Waltham Public Schools, the event was developed by students for students as an opportunity to talk about important issues such as diversity, racial tension, substance abuse among youth, and preparing for life after high school. Many city and school leaders and over thirty community based organizations were there to support students and listen to their concerns and ideas. It was a powerful day and an important step toward a stronger, more inclusive community. Members of the student planning committee describe the event here. July 13, 2016 - We’re excited to announce that rising Waltham educator Kaytie Dowcett has been hired as the new Executive Director of the Waltham Partnership for Youth (WPY). Congrats! On Nov. 3, 2016, WPY hosted its second-annual Team Trivia fundraiser! Over one hundred people showed up to support WPY and engage in some healthy competition. Congrats to the Kiwanis 'Buzzkills' for taking first place and to the Smartinis for winning Best Team Name. And many thanks to our generous sponsors. Student leader Gladys Vargas shares her reflections on WPY at the Annual Meeting. © 2019 | Waltham Partnership for Youth, Inc.